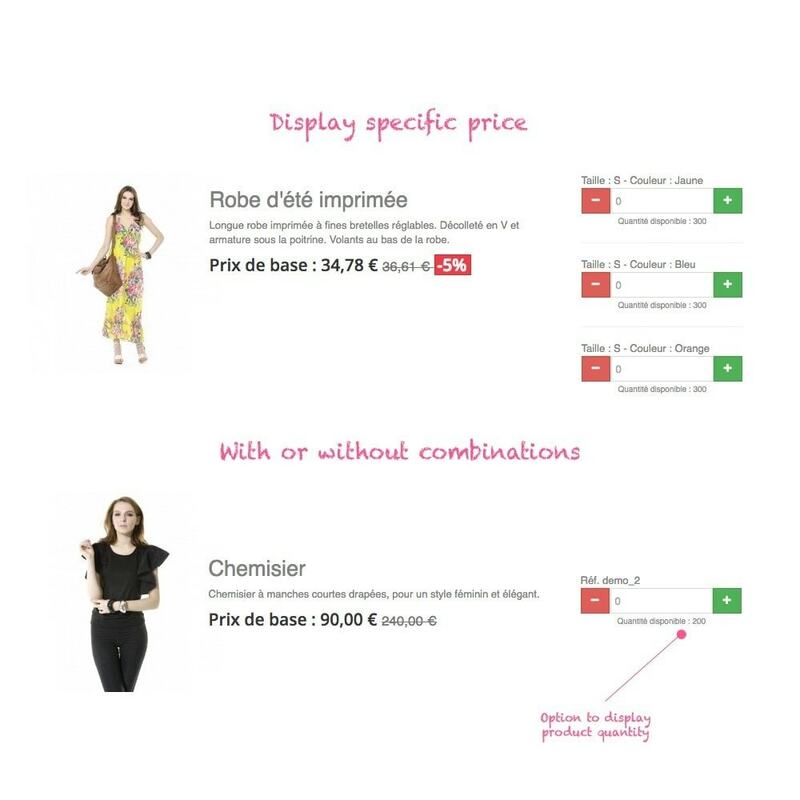 You are a B2B or B2C store and you want to offer a quick shopping cart of your products by category? 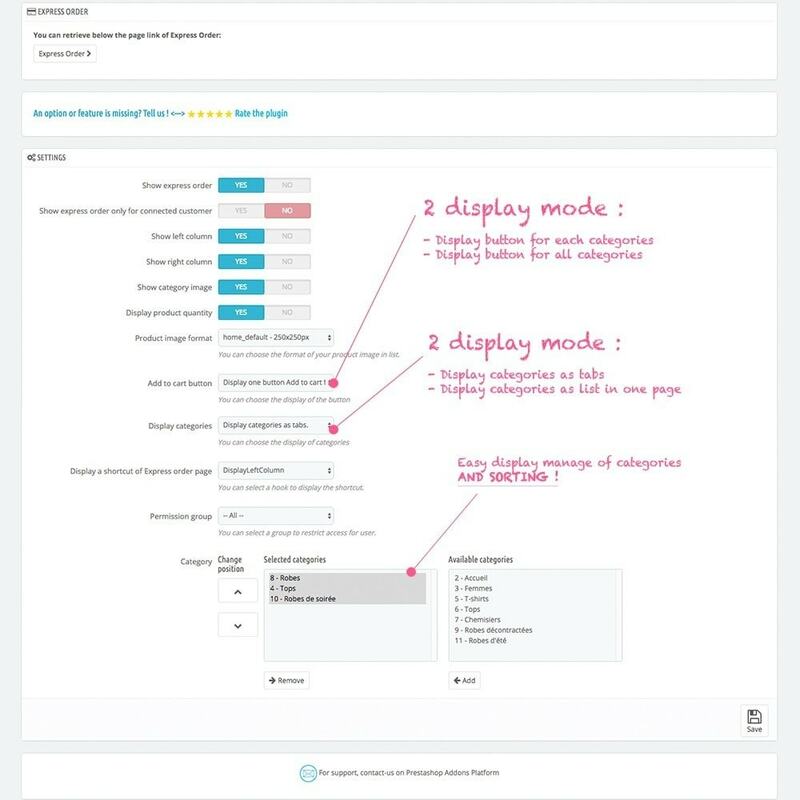 So this module is there to help you improve your conversion rate and your average shopping cart. 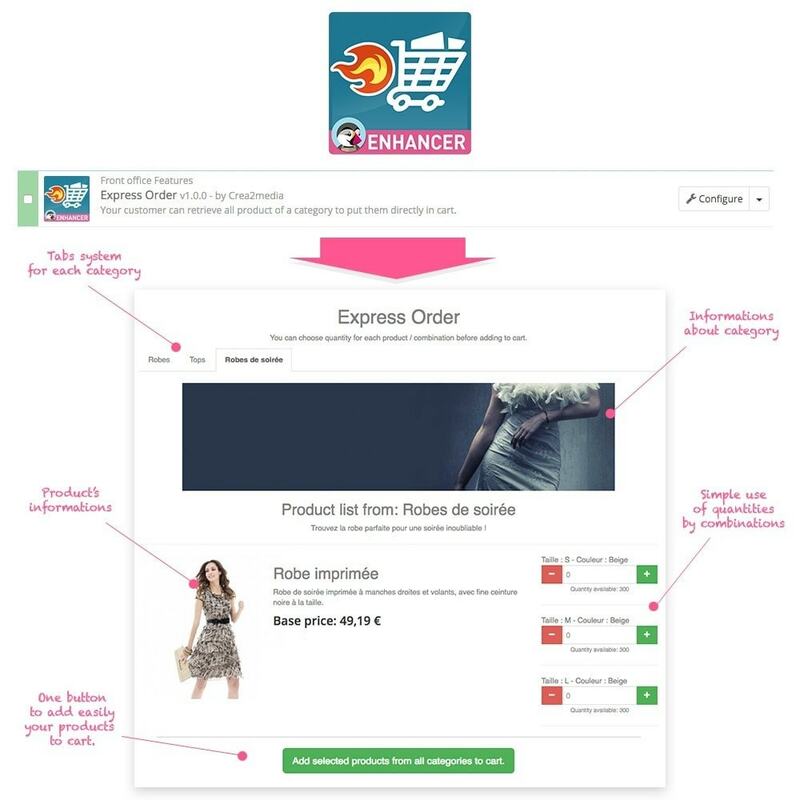 Offer your customers a new, faster way to put their products to the basket. It is for them, a precious time saving! 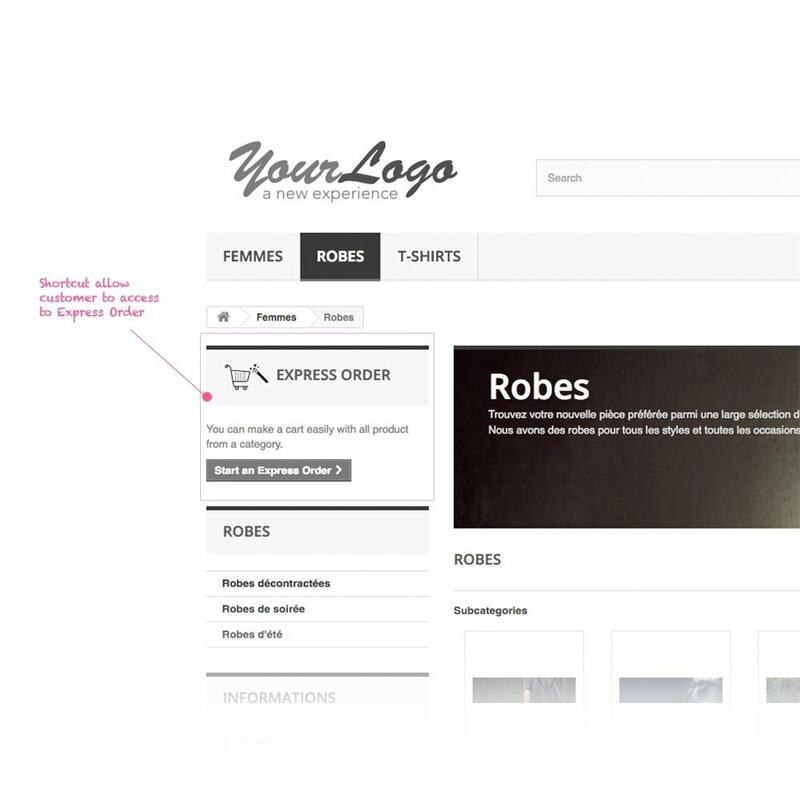 This module is very useful for shops whose customers do not need to open each product file before the shopping cart. Notably professionals, restaurants, food shops or service. You must use module Blockcart from Prestashop AND activate ajax cart. Very simple installation without override. Compatible multi-shop.